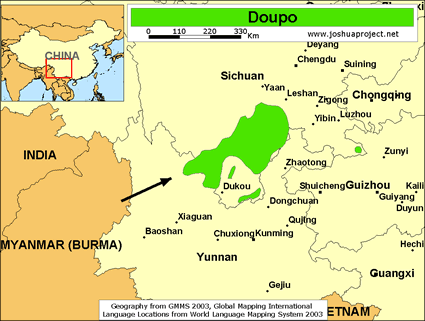 The Doupo appear to have once been the same ethnic and language group as the 6,000 Depo who live in northern Yunnan and southern Sichuan, but since migrating away from the Depo they have developed a slightly different name and identity. Today, they do not consider themselves to be the same as the Depo. 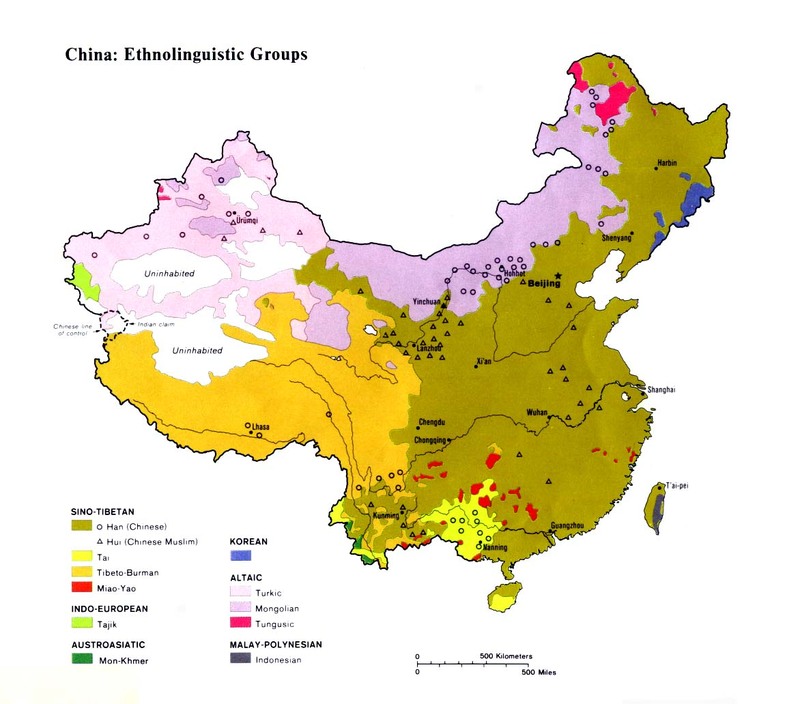 Both the Doupo and the Depo have been officially counted as part of the Yi nationality in China. Claiming to have lived in Yunnan Province for only a short time, the Doupo say they migrated to their present location from southern Sichuan Province in 1965. They say that they could not tolerate their lives in Sichuan because of the continual robbing and looting they suffered at the hands of other nationalities there. For centuries the Doupo were enslaved by the Eastern Nasu. Only in the late 1950s did the Communist authorities finally succeed in causing the downfall of the slave system. The Doupo are a downtrodden tribe with low self-esteem. After centuries of being oppressed and harassed, a segment of this group finally found the courage to move away from their former masters and start a new life. Although many of the younger generation of Doupo do not consider themselves religious, most Doupo over the age of 50 are careful to observe the ways of their ancestors, which consist of ancestor worship and a complex system of spirit worship. Spirits of the water, forest, mountains, and sky are worshiped. In the past the Doupo relied on hunting and appeased the god of the Hunt. To show their reverence, they would take the bones from all the animals they had killed and bury them in a "sacred hole" in the forest. The hunter would then drop to his knees and pray to the god of Hunting for blessing and a rich supply of game. This ritual is no longer practiced by the Doupo. Although there are a number of Christians among the closely related Depo of northern Yunnan, there are no known believers among the two Doupo villages near Kunming. 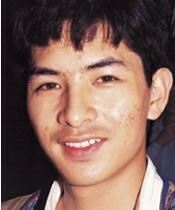 In 1997 Wuding County reported a total of 22,341 Christians, of which 6,218 were "Yi." The county also reported 61 government-sanctioned churches or meeting places, along with Christians in 117 of the county's 127 communities. Despite these impressive figures in Wuding, the Depo living in southern Sichuan have experienced a far lesser level of evangelization. It is from southern Sichuan that the Doupo migrated in 1965. View Doupo in all countries. Location in Country: More than 600 Doupo people live in Yunnan Province in southwest China, west of Kunming City. About 400 live in the Mafang Village of Fumin County, while an additional 200 live in the Guanshanchang Village of Qinglong District in Anning County.